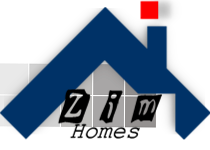 Established in 2011, Zim-Homes is 100% Zimbabwean owned and operated, and it is one of Zimbabwe's largest innovative residential house design company. We have designed many residential houses using state-of-the-art Computer Aided Design software, CAD. When you choose Zim-Homes, everything is easy. We take care of all the detail and you can relax, knowing you are working alongside one of Zimbabwe's most trusted brands. Zim-Homes is dedicated to bringing you the highest quality in interactive architectural design as well as the production of fast, efficient plans ready for City Permitting and Construction.